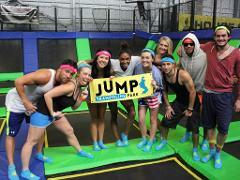 Hosted 1 hour access to all Trampoline zones. This access includes all the zones within our Park. Hosted 2 hour access to all Trampoline zones. This includes a Dodgeball competition and access to all the other exciting zones. Extreme Air Bag, Slam Dunk, Free Jump and Pro Zone. 1 hour access to all Trampoline zones. This includes a Dodgeball competition and access to all the other exciting zones. Extreme Air Bag, Slam Dunk, Free Jump and Pro Zone. Group Pass - Grab 4 mates and qualify for our 5 or more discounted price. 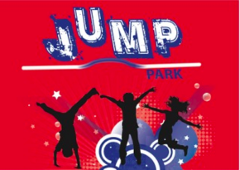 Group Pass - Grab 10 or mates and come and Jump lots of fun.